Christmas, birthdays and anniversaries are all great times to give an extra special present! Christmas 2017 was no different and these dictionary commissions have been literally ‘flying’ out of my door! 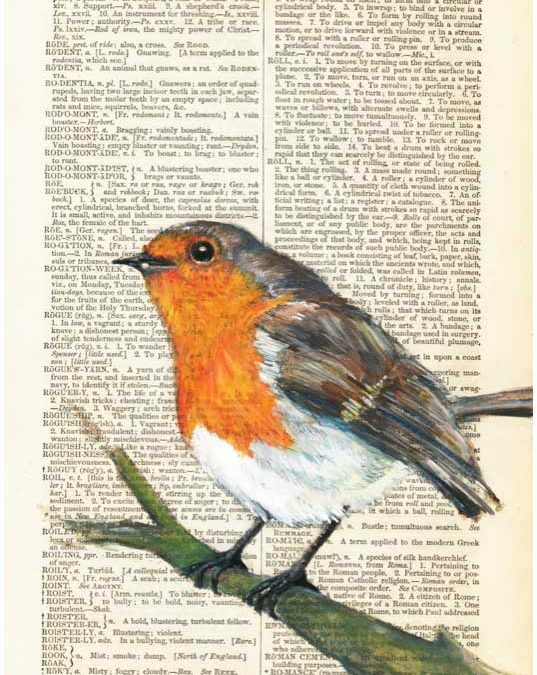 I have been asked to paint rabbits, chaffinches, kingfishers, frogs, squirrels… you name it, and if it’s in my trusty 1892 (and now 1858) dictionaries, I’ll paint it for you!